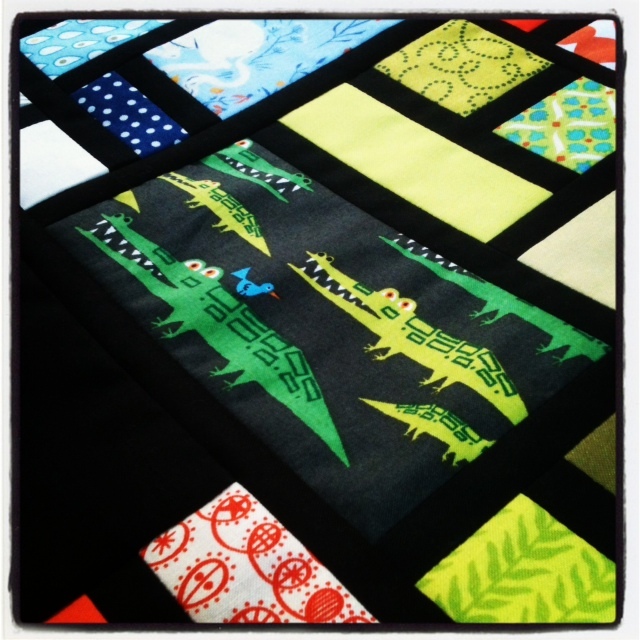 After much arranging of blocks, the dinosaur quilt top I’ve been working on for a few weeks is finished. More than any of my other quilts this really has been a labour of love, owing to the awesome backing fabric I’ll be using, as well as all the bright and bold colours of the fabric. 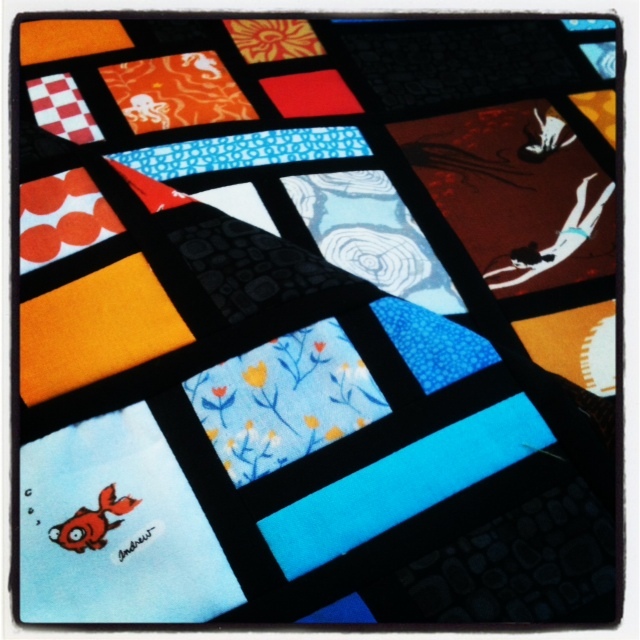 I love the fabric in this quilt. Most were pulled from stash, like the precious Heather Ross pieces that only gets cut into for the most special of projects, but a few were purchased during several of my fabric hunting expeditions as I felt they’d really work in this quilt. The sashing and larger solid blocks are Kona coal, and the little bits of black in each coloured block is a great, pebble print I got from a local fabric store; it just screamed dinosaur to me! 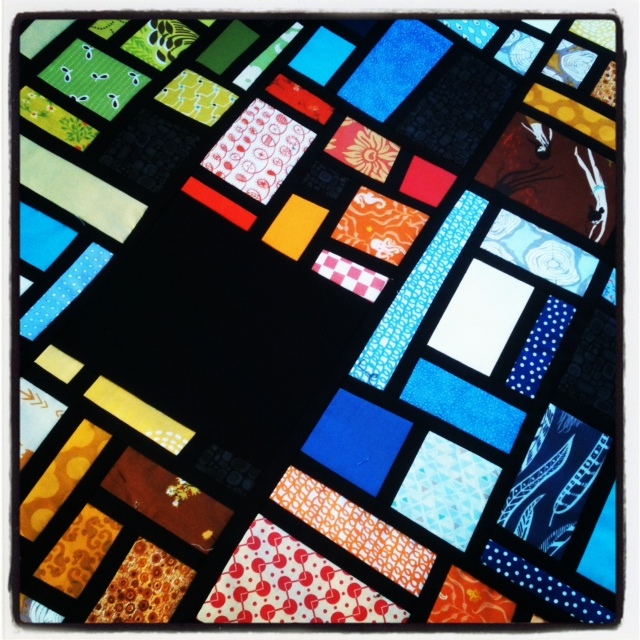 The top measures 40 X 52, so it isn’t huge, and shouldn’t take too long to quilt. I’m leaning towards an edge-to-edge free motion design for the quilting, with a preference for something with curves to contrast with the angular nature of the blocks. I have a few ideas, but I’d love to hear what any of you think might work. I’m waiting on the wadding to arrive, then I’ll baste.